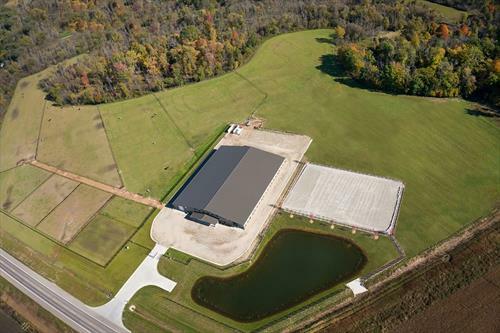 Empire Farms is a large hunter / jumper facility located in Chesterfield MI 48051. We specialize in lessons from beginner to advanced as well as competition from the local C circuit to the national AA. I am looking for an individual who wants a long term position working with students and horses. Responsibilities would include: -Teaching regularly scheduled beginner / intermediate lessons -Covering boarder lessons while head trainer is at competition. -Scheduling and assisting vet and farrier appointments -Riding / exercising client and sale horses -Administering daily medication / doctoring injuries All candidates much have references, must have reliable transportation, be hard working and self-motivated. This is a great opportunity for a long term position with a large existing clientele. This is a salary position starting at $26k / year with 1 week pto and health benefits. Looking to hire right away. 1 month paid trial period preferred. Please email slmeehan@gmail.com. 61 stall hunter / jumper facility. New facility build in August of 2014, with existing clientele. Indoor / Outdoor arena. Public lessons and boarding. Professional show oriented program. Automatic waterers, radiant heat, matted stalls. Full service boarding and training.